On that day and time, Power-Con will post the reservation link on their website. They expect it to sell out quickly so do NOT delay in reserving your room! For those of you who are not 100% certain you will be attending, they will also post links to other nearby hotel options. In addition, you will have the option of reserving via Hilton Anaheim’s website at their regular room rates which gives you the option to cancel a reservation at a later date, per their cancellation policy. 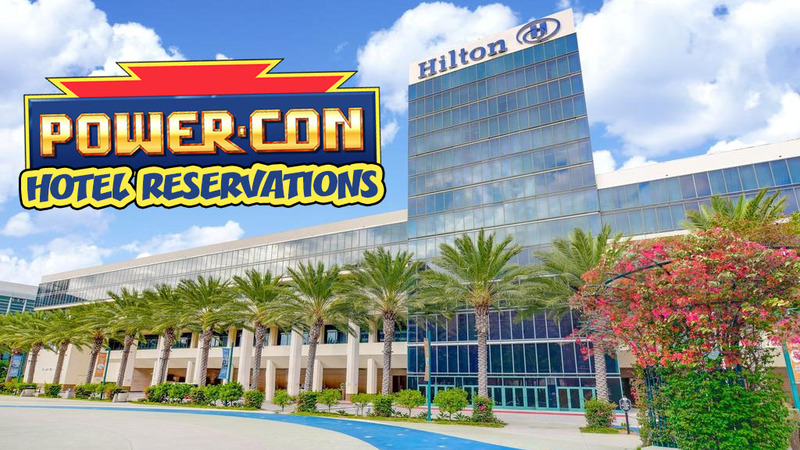 Power-Con 2019 celebrates all things He-Man and She-Ra, and will have a focus on the new She-Ra and the Princessess of Power cartoon, and the 30th anniversary of the New Adventures of He-Man cartoon and toy line. They’re excited to bring you more news soon. Please spread the word about Power-Con to anyone you know who loves Masters of the Universe and Princess of Power. It’s always better to celebrate He-Man and She-Ra with other fans! Thank you so much for your interest and support of Power-Con.